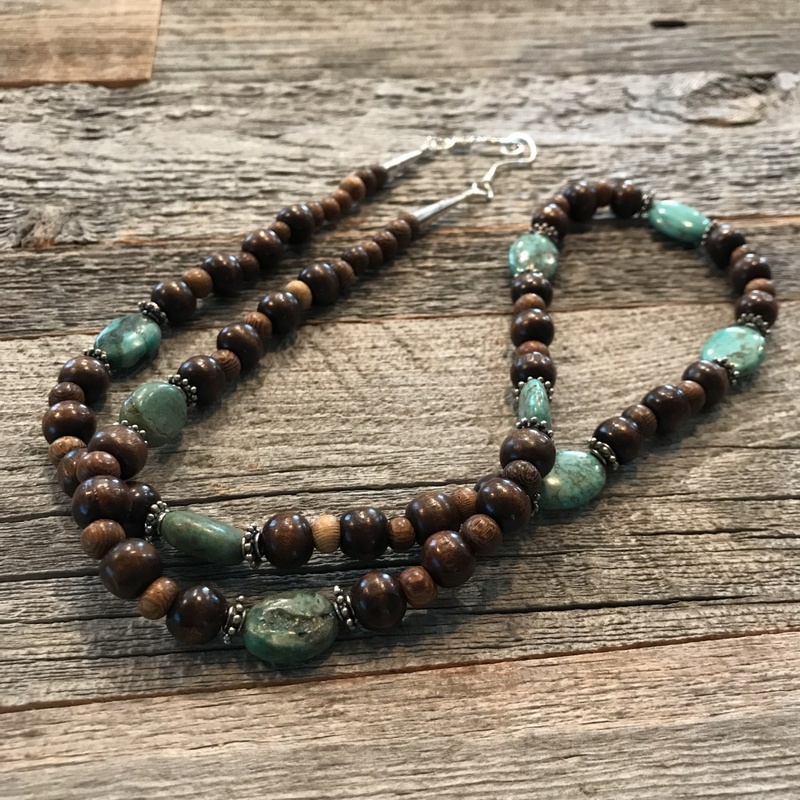 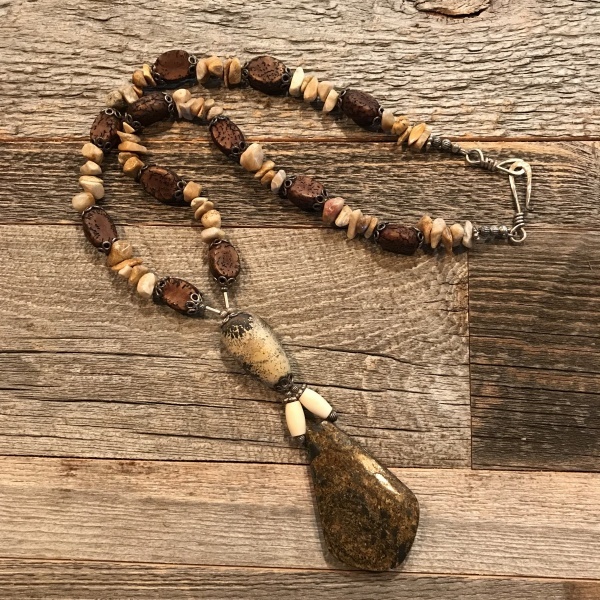 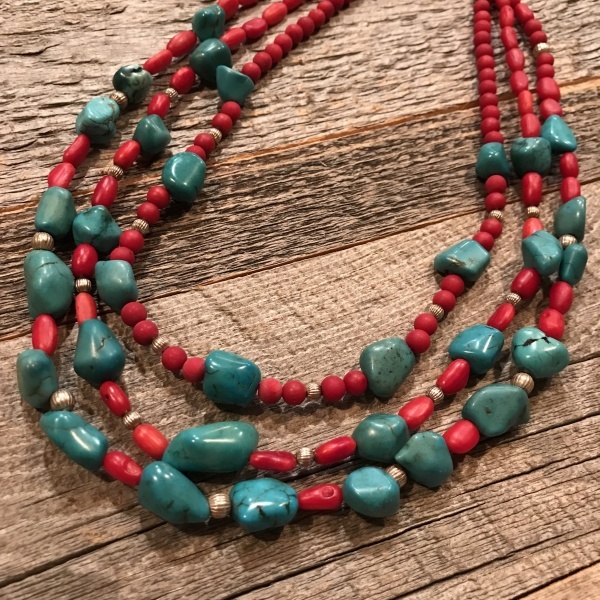 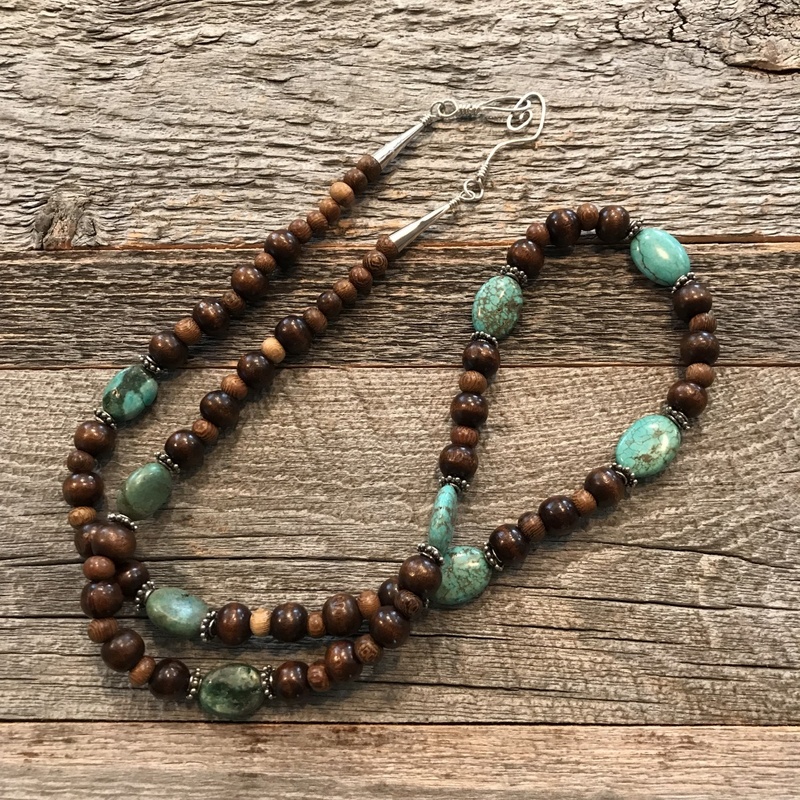 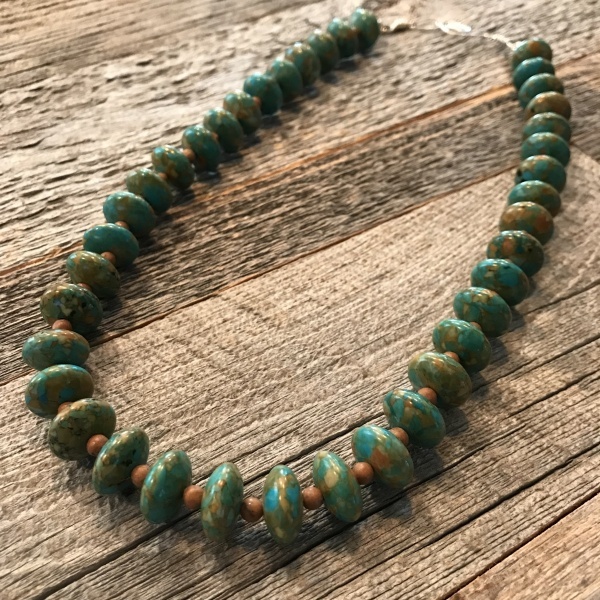 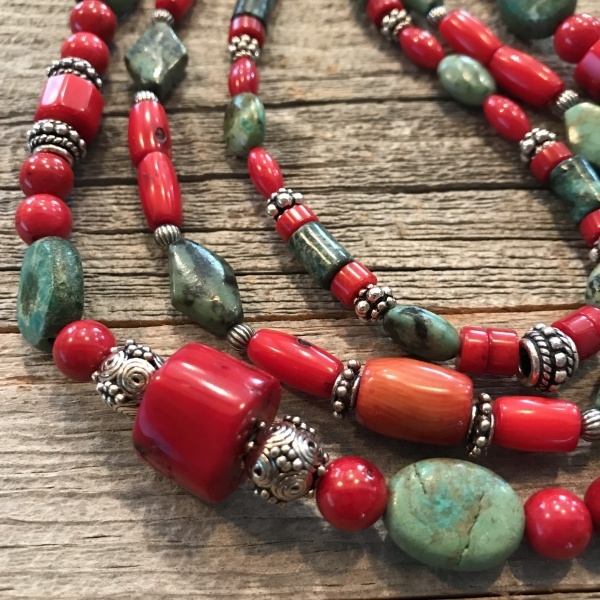 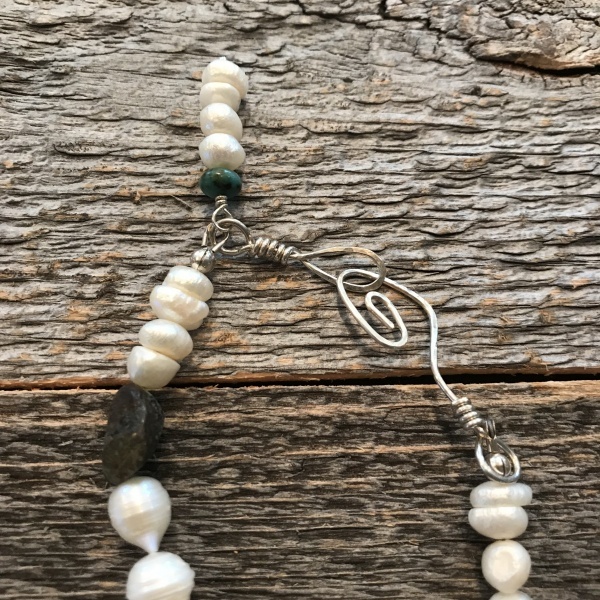 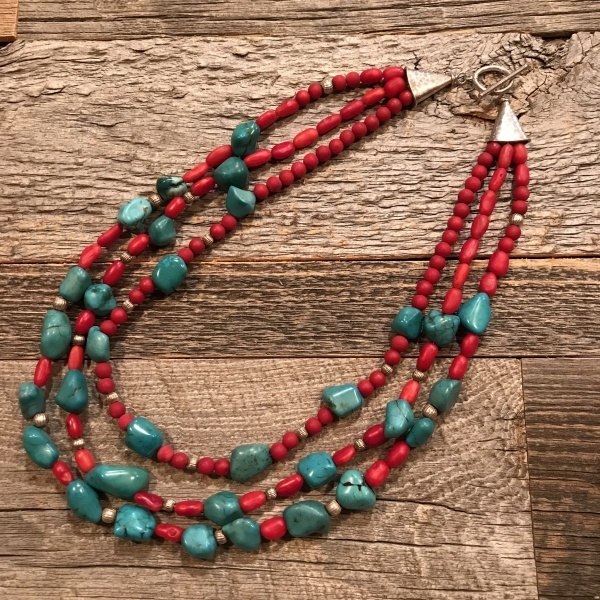 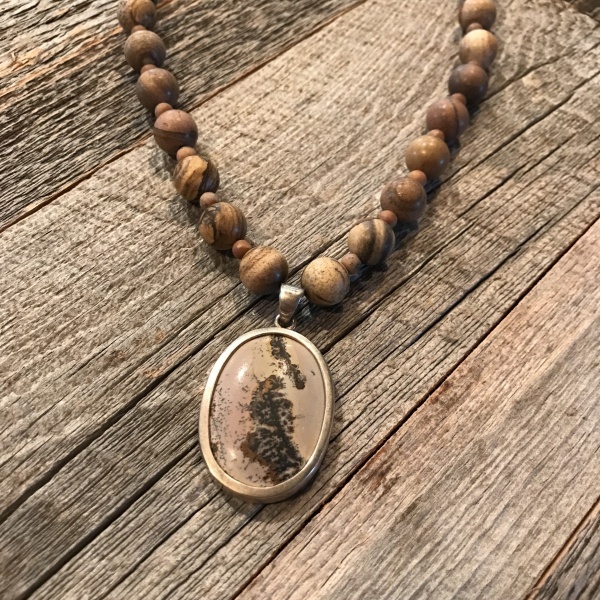 The darker veins running through the oval Turquoise beads are emphasized by the Sterling Silver and wooden beads surrounding them. 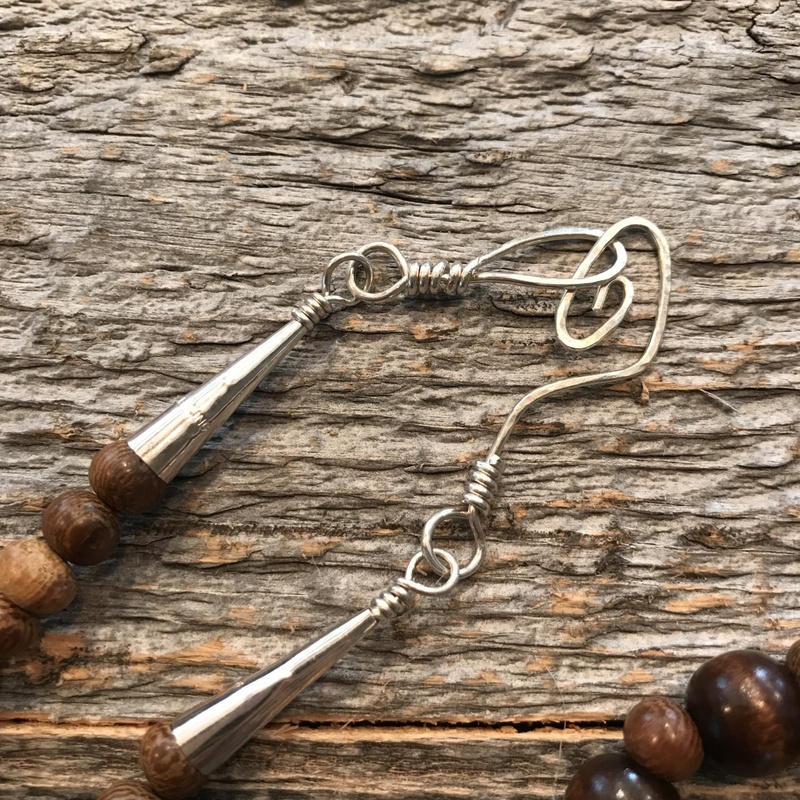 The ends are finished with SS cones and fastens with a handmade hammered SS clasp. 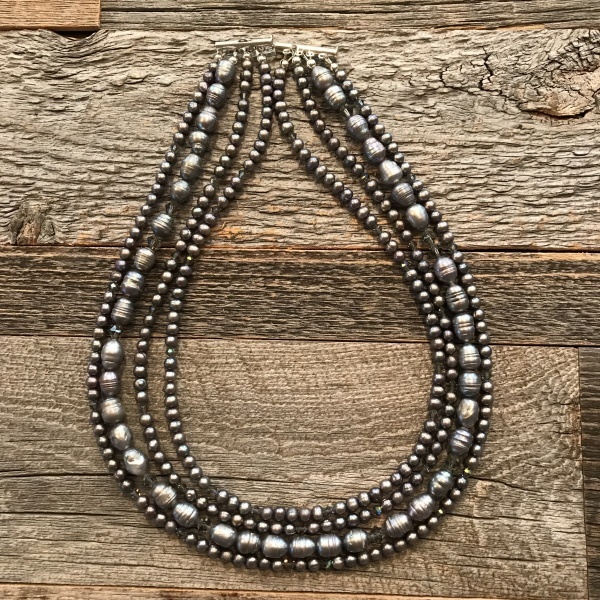 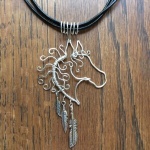 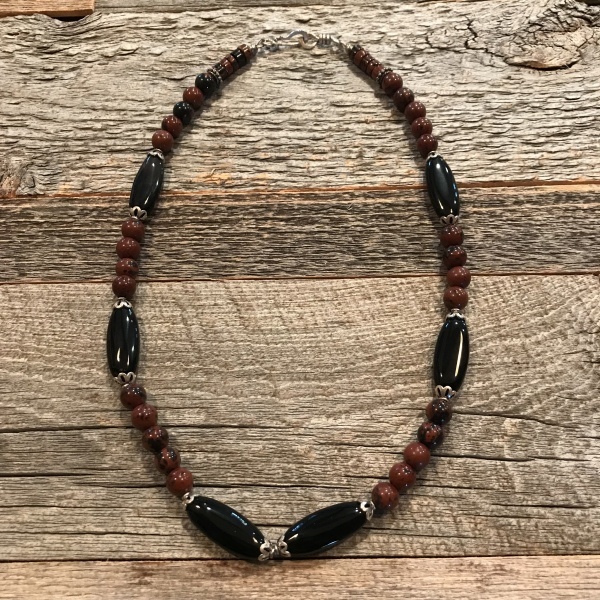 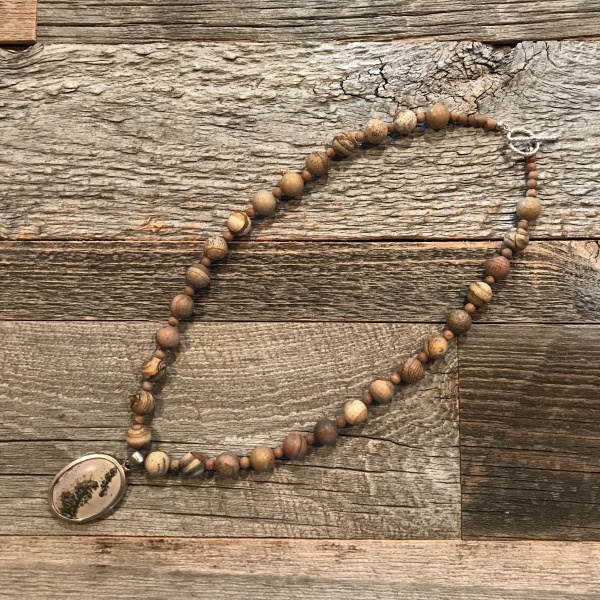 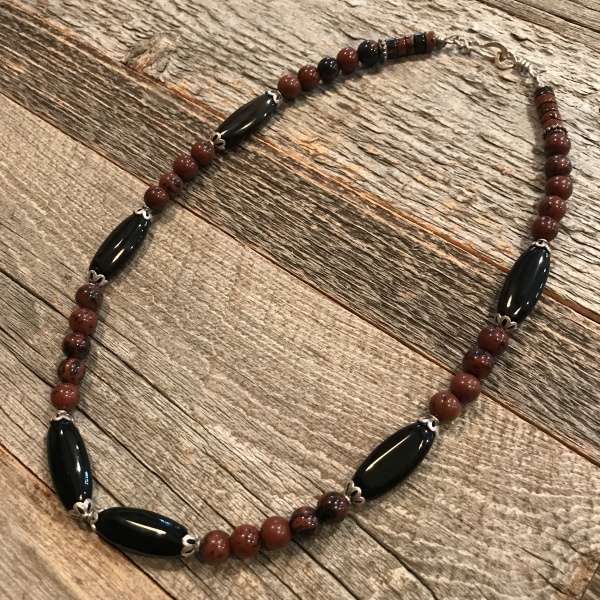 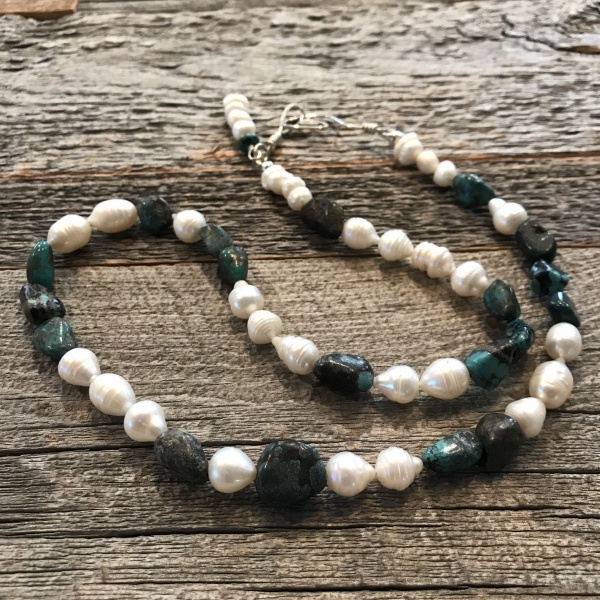 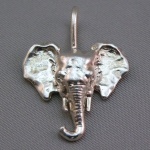 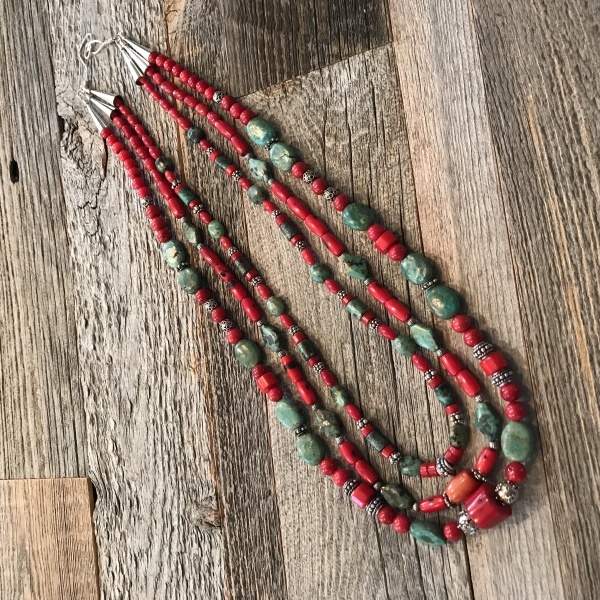 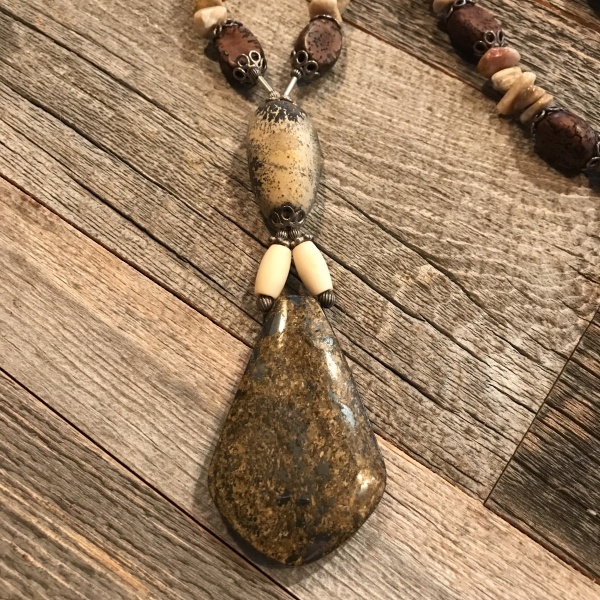 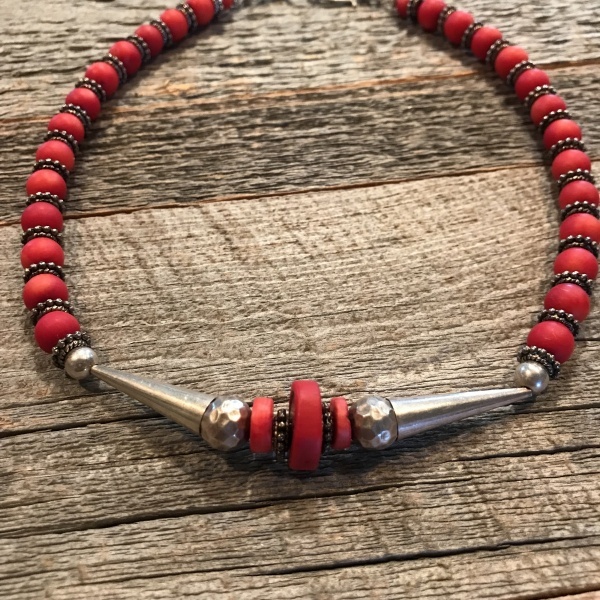 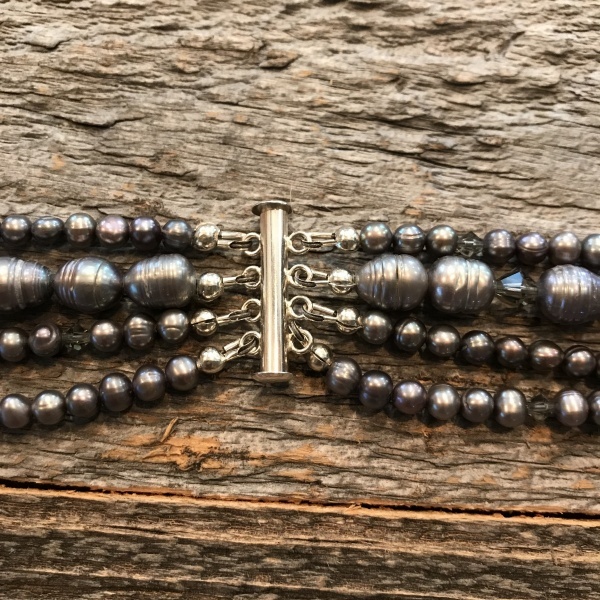 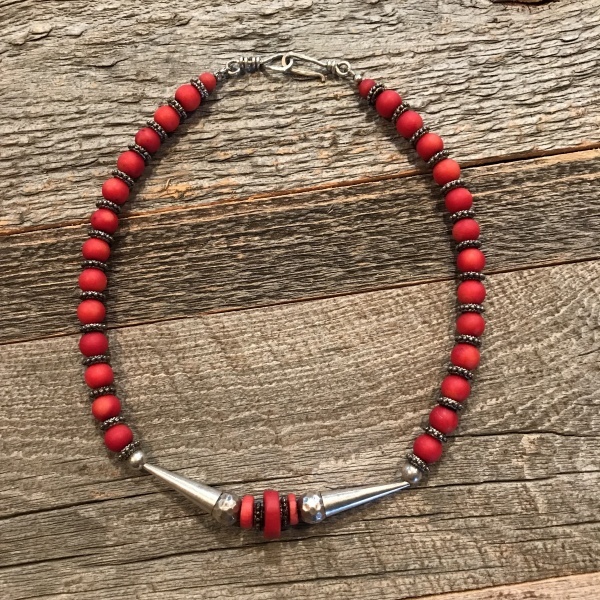 Being approximately 32 inches in length this necklace can be worn as either a choker or a single long strand.